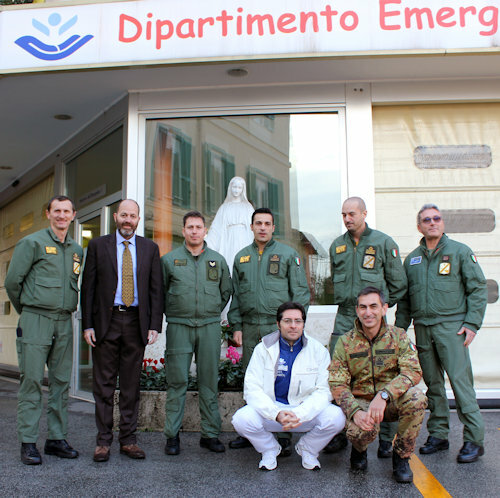 Pilots and specialists of the 46ª Air Brigade of the Italian Air Force "landed" this morning at the Bambino Gesù Pediatric Hospital, Rome-Gianicolo. 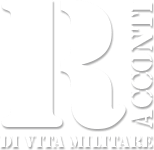 The delegation, composed of the commander, Girolamo Iadicicco, an air brigade general, and a ward crew, visited the Red Area (intensive care) together with the head of Corrado Cecchetti and the anesthesiologist-resuscitator Matteo Di Nardo. The group was then received by the president of the Pediatric Hospital of the Holy See, Mariella Enoc. At the end of the meeting, everyone in the playroom to play with the children: a festive event for the young patients of the Hospital who welcomed the "air heroes" on the notes of 'In blue, painted blue'. The crew that visited the little guests of the Infant Jesus is among those who in the 2018 carried out one of the numerous ambulance transports. Precisely the frequent joint activity between the health staff of the Pediatric Hospital and the Air Force, gave birth to the idea of ​​the visit, a tangible sign of a chain of solidarity that has the sole purpose of saving lives, in this case, of little patients. In the playroom, the pilots distributed gifts and gadgets: posters, photos and hats. From the children a lot of curiosity and the promise to realize the dream of flying in the clouds once they grow up. The 46ª aerial brigade of Pisa is one of the Departments of the Air Force in charge of emergency medical transport. In coordination with prefectures and hospitals, the Armed Force aircraft ensure transportation throughout the country (when required also from abroad), ready to take off day and night, even in adverse weather conditions. In 2018 110 people were transported in imminent danger of life, 65 of which in pediatric age. 32 of these children have been witnessed to the Child Jesus. The 46ª air brigade, in particular, is the only Air Force department equipped with C130J aircraft capable of directly embarking ambulances with patients on board. This mode of transport is necessary when the sick person needs the constant support of particular medical equipment. This is the case of ECMO flights, often carried out in collaboration with the specialized medical teams of the Bambino Gesù Pediatric Hospital. ECMO (Extra Corporeal Membrane Oxygenation) is a complex technique of extracorporeal circulation that, in very severe cases of heart and / or respiratory failure, temporarily replaces the functions of the heart and lungs. For the management of these patients, the Hospital has created (from 2011) a special team composed of anesthetists-resuscitators, cardiac surgeons, perfusionists and nurses. Today the Child Jesus is the only pediatric center of reference for the Center and South Italy qualified for ECMO transport on both road and air. In 2018 the emergency medical flights of the Italian Air Force with the ECMO team of the Pediatric Hospital of the Holy See on board were 3.